Lumos manages the full development program for point-of-care (POC) assays, from sourcing and/or generation of reagents, right through to verification and validation. With the acquisition of Kestrel BioSciences, the Lumos team brings over 30 years of experience in lateral flow assay development and market knowledge. Lumos assay development follows a standard phased approach, with a focus on reducing product risk and matching development effort with the appropriate regulatory requirements. Lumos begins by working with its partners to obtain a thorough understanding of the customer and product needs, ensuring the key specifications and design elements are fully understood from both a scientific and market perspective. Throughout the development program, our experienced project leaders will ensure clear communication of project progress and tracking against timelines and budget. The Lumos Assay Development Team has broad experience over a wide range of POC lateral flow assays, configurations and specimen types. Lumos can provide the full range of materials needed for lateral flow assay development. Lumos offers on-site consulting and educational training on POC assay development. 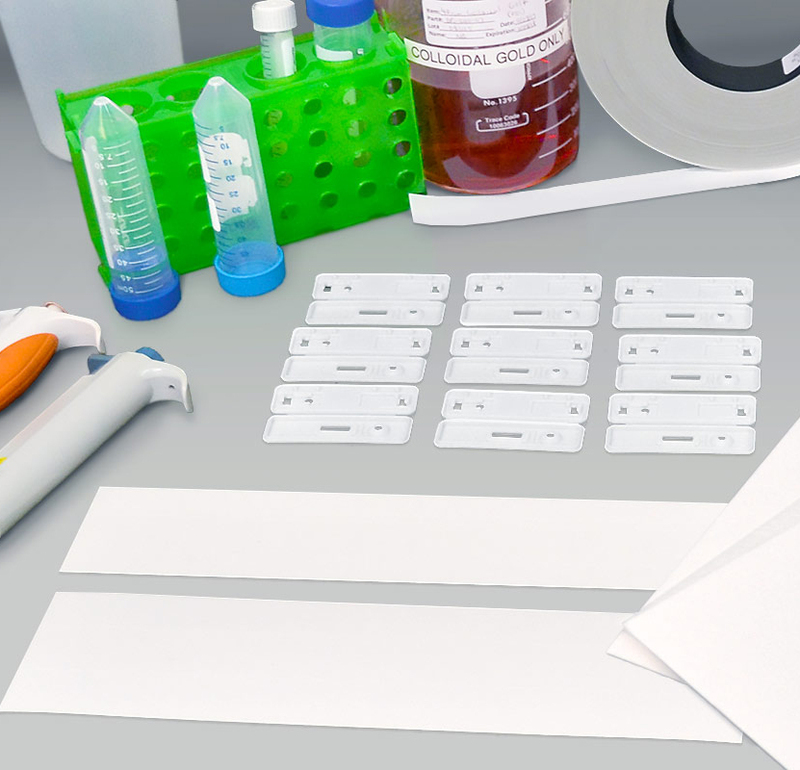 Learn about reagent and materials selection, conjugation techniques, available levers for assay optimization, transfer into manufacturing and quality control techniques. The training consists of both lecture and practical lab bench sessions to provide a solid knowledge base, as well as laboratory skills. All training sessions are customizable to individual customer needs through modular elements that can be added or subtracted as desired, delivered in a private one-to-one setting. Thorough hands-on wet lab training courses can be conducted at Lumos’s assay development facility in Southern California or at the customer’s site. Contact us to discuss your educational training needs and personalized training agenda. Contact the Lumos team to learn more about our lateral flow assay development capabilities and how we can help you achieve your POC test goals.